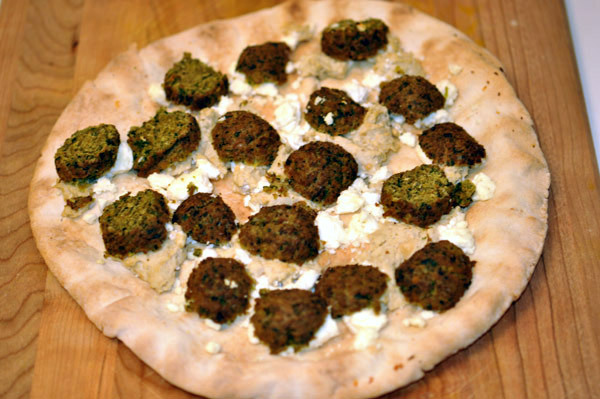 You are viewing the archive for the ‘Chickpeas Restaurant Pizza & Kabobs’ tag. 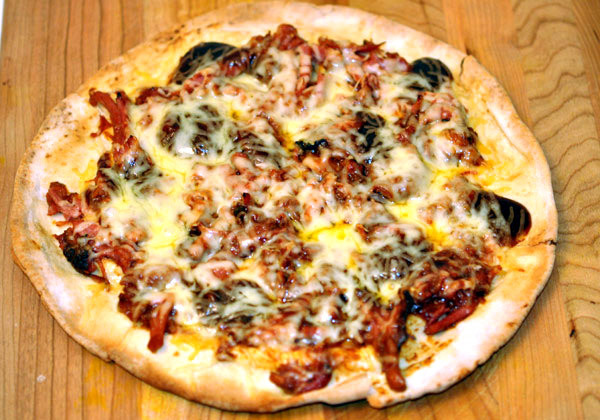 Like many people, I love pizza – my favorite is thin crust pizza. 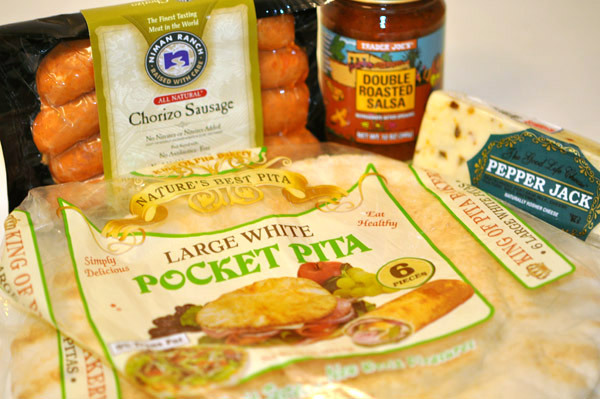 Making pizza is time consuming and eating it daily may be somewhat unhealthy – unless it’s a single serving of pizza made with pocket pita. 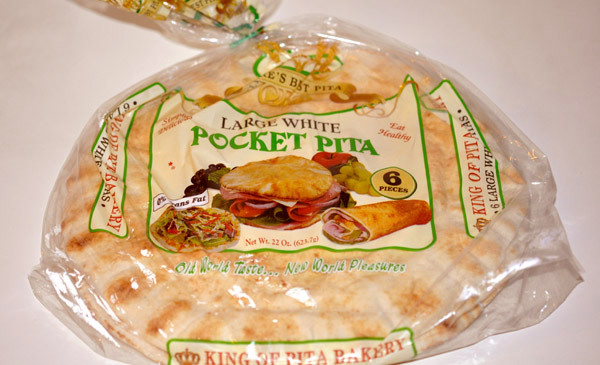 Many variants, say whole wheat, of this flat bread/pita from Middle Eastern/Mediterranean cuisine can easily be found in your local supermarket. 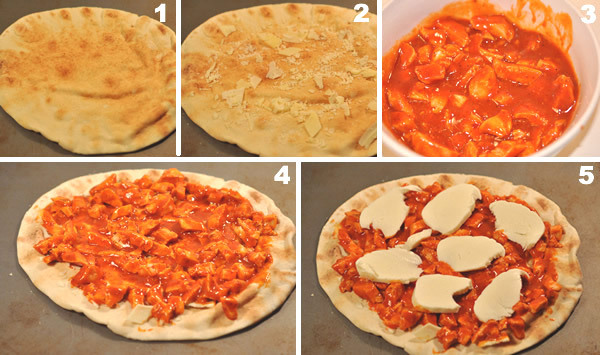 Here’s my adventure of making four different kinds of pita pizza. 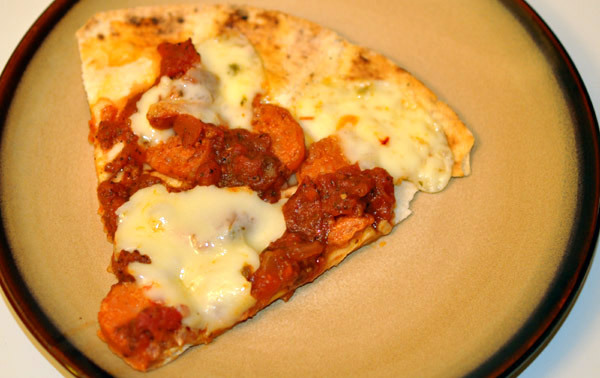 Instead of pita, Lavash from the Middle East or Naan (see Naan Pizza) from Indian subcontinent could also be used. 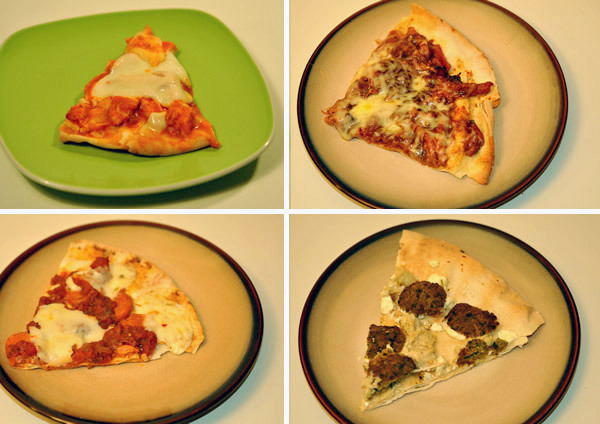 The basic recipe is the same for all of these pizzas. Preheat the oven to 450 °F (230 °C). 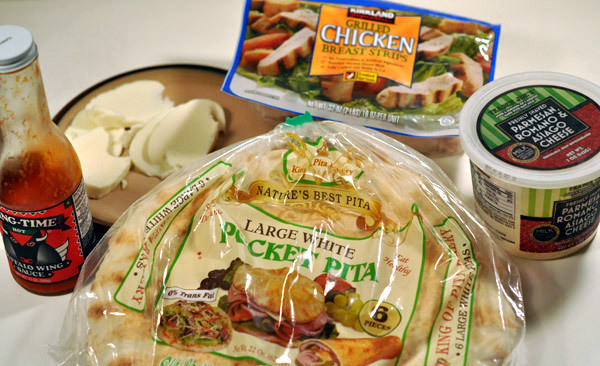 Add your toppings and sauce on pita bread. Make sure not to add too much liquidy sauce. 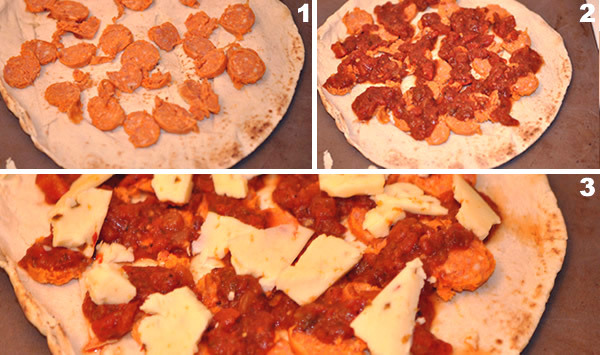 Excess amount of water will make your pizza bread soggy and excess water will overflow the pizza. 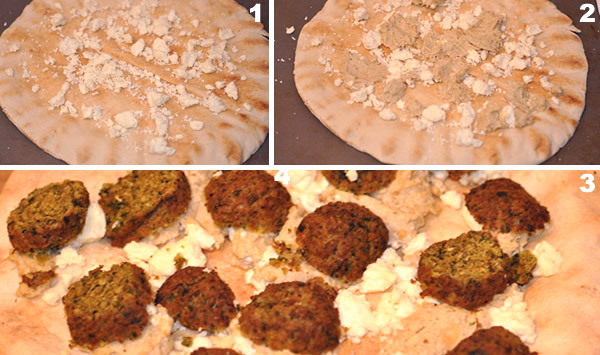 You can brush the pita with oil (e.g. olive oil) to get crispier and more flavorful pizza. I avoided this to cut down on fat. Lay your pita on a baking sheet, put in the oven (middle rack) and cook until the bread is crispy and the cheese is melted, which should take anywhere from 7 to 10 minutes. The time depends on the type of pita and the sauce used. 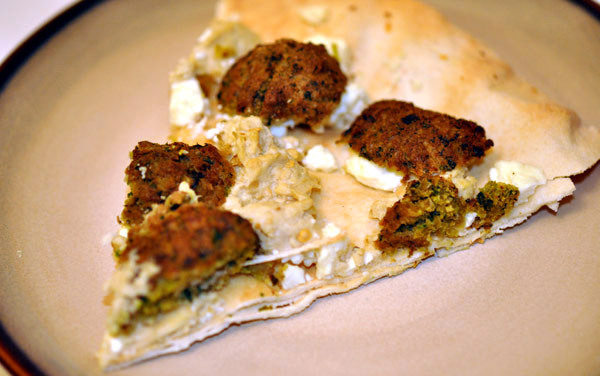 Falafel baba ganoush pizza was inspired by FetaFa pizza at Chickpeas Restaurant Pizza & Kabobs in Arlington, Virginia. Falafel baba ganoush pizza was the only vegetarian pizza made. Store bought baba ganoush was a big disappointment. I wish that I had made fresh baba ganoush like earlier. For cheese, I chose Mediterranean feta cheese. 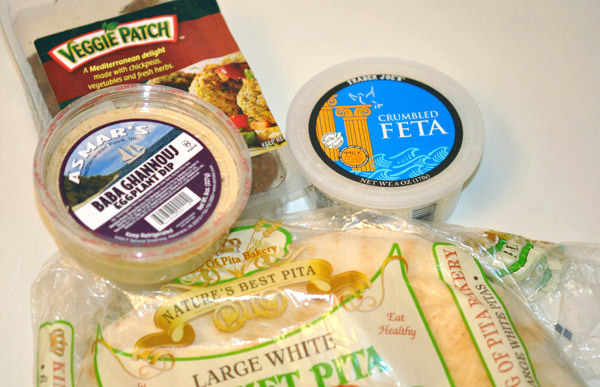 What could be more like Mediterranean pizza than falafel and feta cheese with baba ganoush on a pita? 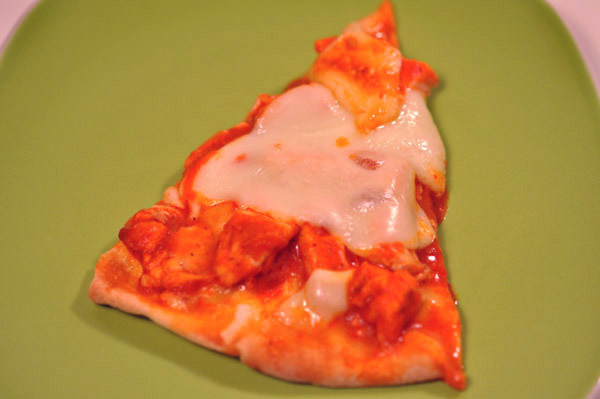 Buffalo chicken pizza was inspired by the buffalo chicken sandwich that I made earlier. Ingredients were buffalo sauce, grilled chicken breast, and fresh buffalo mozzarella. A mixture of parmesan, romano and asiago cheese flakes were added to give sharp flavor to the pizza. I have sort of become a barbeque sauce mini-aficionado after writing about barbeque sauce and doing the barbeque chicken sandwich experiment. For me, smoked pulled pork goes perfectly with the spicy and sweet barbeque sauce. 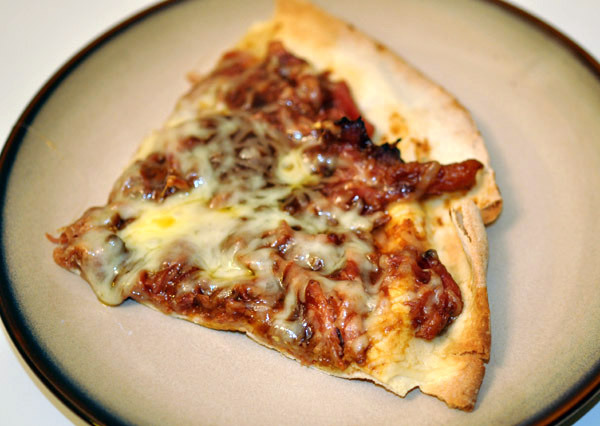 Barbeque pork pizza was probably my favorite pizza among the four. 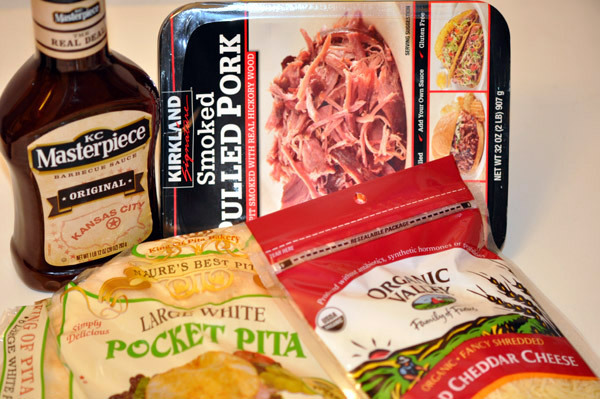 The mild white cheddar cheese added the perfect sharpness to smoky pulled pork lathered with sweet & spicy barbeque sauce. I saw chorizo and roasted salsa while grocery shopping. They seemed like natural ingredients for a decent pita pizza. Homemade roasted salsa would have been better since I could lower the acidity by avoiding the lime. Pepper jack cheese seemed to go well with roasted salsa giving it a spicy Mexican flavor. Toppings and sauce can be made from any available ingredients you have and like. I start with the flavor combination of ingredients that I know work well and build upon it. 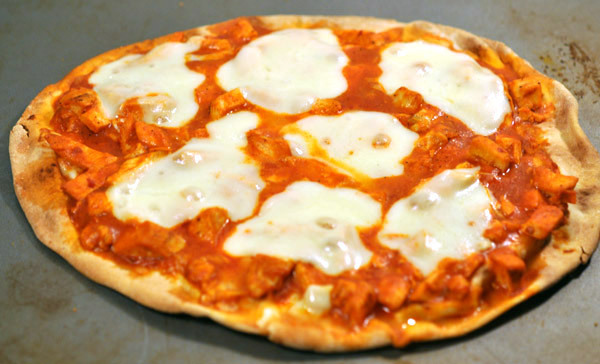 For example, if I make Indian tikka pizza, I will use crumbled Indian cheese, paneer and tandori chicken with tikka sauce. Next time, I will slowly change one or two ingredients and gradually let the flavors evolve. I like experimenting, but avoid starting completely avant-garde. For example, starting with olives, tikka sauce, and ripened camembert cheese may not work.